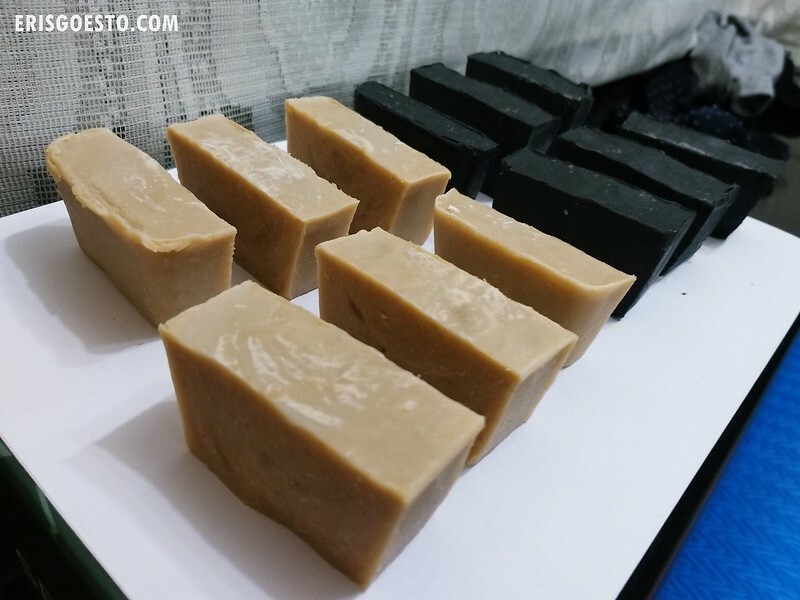 So I finally joined a soap making class! I’ve wanted to go for the longest time, but always found some excuse ie no time/lazy/classes are expensive. Recently work has been stressing me out so much, I needed some activity (that didn’t involve eating, lol) to take my mind off things – and a soap making class sounded about right. 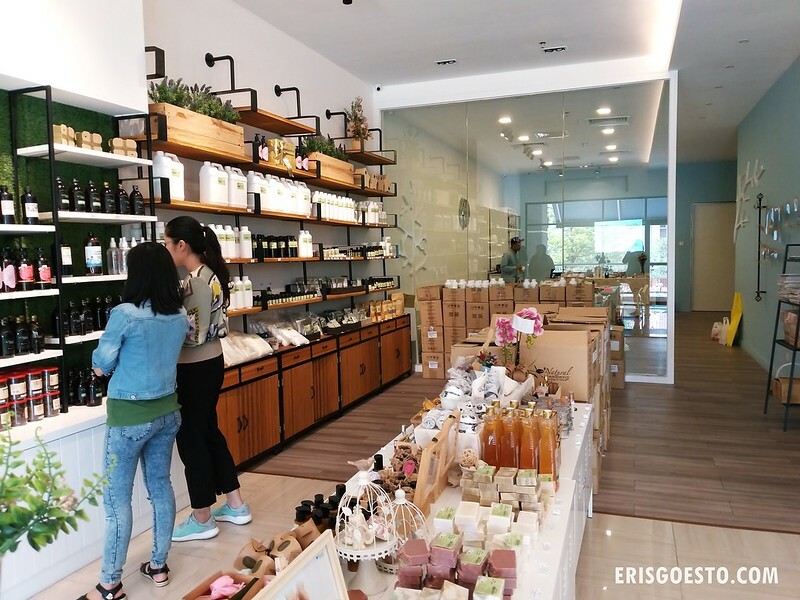 The class was conducted at Natural Wellbeing, a soap and cosmetics retailer in Publika KL, on a Sunday. If you’ve been to Publika you’ll know the place is like a maze, so the store can be a bit hard to find. Just look for Nando’s, go past the escalators, turn left and walk outside. The shop faces the main road. 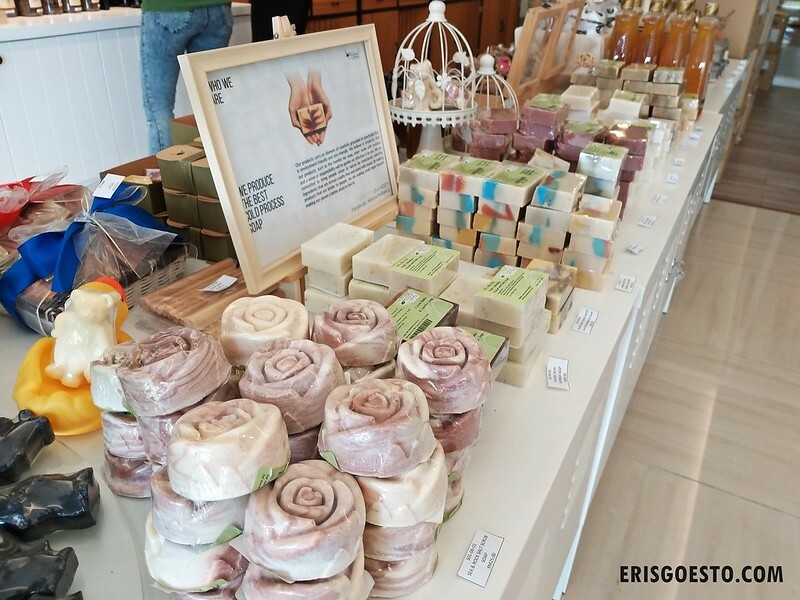 Soap making classes are held as and when, but their core business is selling products, from handmade soaps and essential oils, to bath products and cosmetics. They also supply raw materials for students and small/medium businesses. 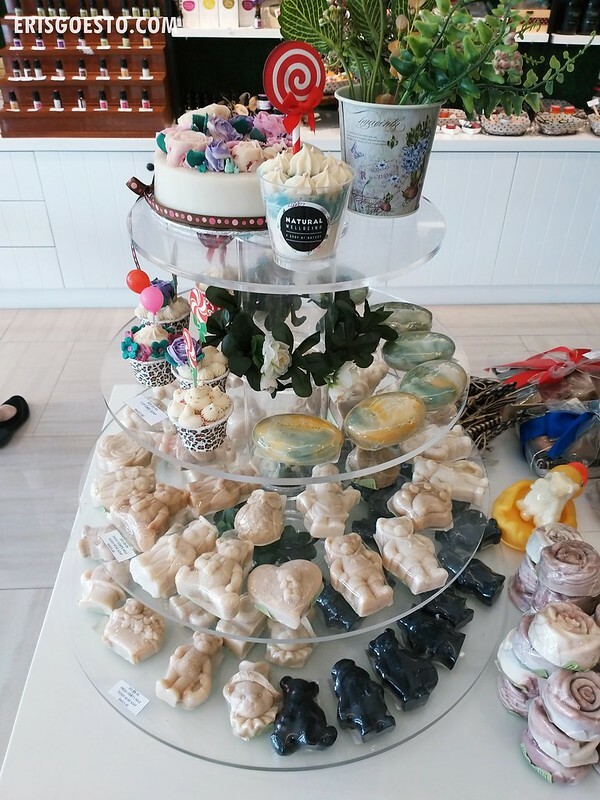 Decorative soaps in the shape of cupcakes and teddybears. The cake ones looked especially realistic! 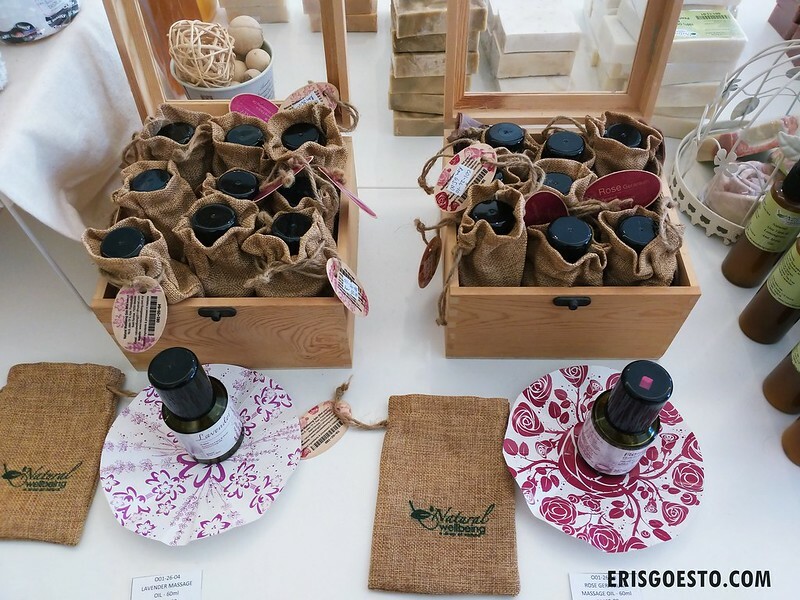 Essential oils and fragrances, for personal use as well as for making soaps. Our class was held in a spacious back room with Miss Angel, a certified instructor hailing from Taiwan, but who has been living in Malaysia for over 20 years. There are different classes available, but the one I signed up for was handmade cold process soap, aka CP soap. CP soap allows for better control over the ingredients and does not require heat, where as hot process, or ‘melt and pour’, has to be cooked over a heat source. Some people like hot process because it can be used right away, whereas CP takes four to six weeks of curing – but it’s all down to your preference. 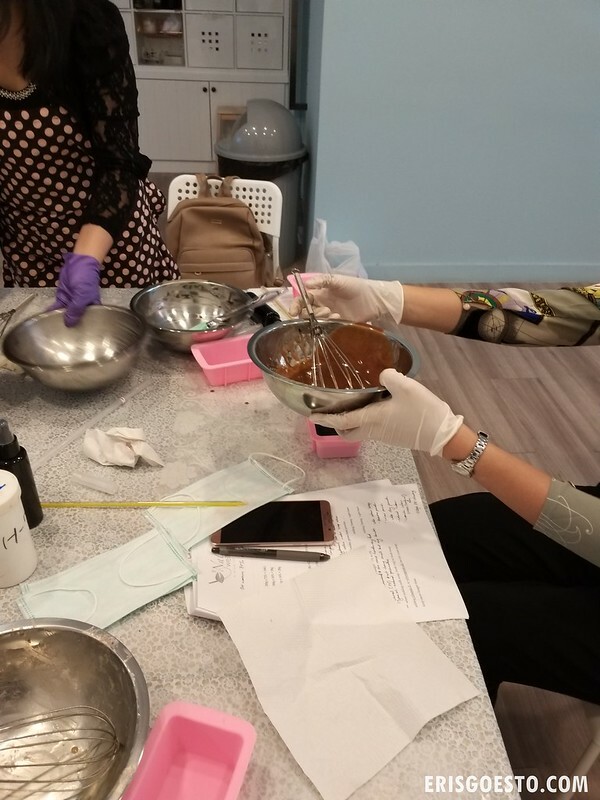 All materials were provided, including two soap molds for the two soaps we would be making, stainless steel bowls for mixing, spatula, whisk and thermometer, as well as class notes. The first recipe was for a 300gm block of Marseille soap, a traditional French soap dating back 600 years. Made primarily with olive oil, it is said to be good for oily skin, owing to its natural ingredients and properties. We started off by adding lye into water to create lye water. This has to be done slowly and carefully, because lye heats up when reacting to water. After the lye water has cooled down, we added it to olive oil. The next step would be to stir until it forms a ‘trace’, or in laymen terms, looks ‘creamy and buttery’. 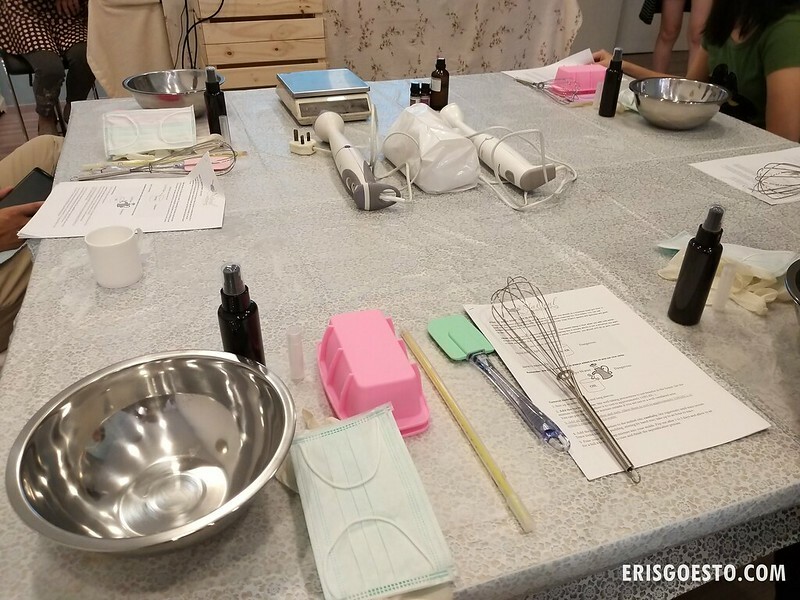 After trace is achieved is also when you add any essential oils and fragrances, although the teacher discouraged us from putting in the latter, if you really want a ‘natural’ bar of soap. We also added natural colourants made from ingredients such as clay and charcoal powder. 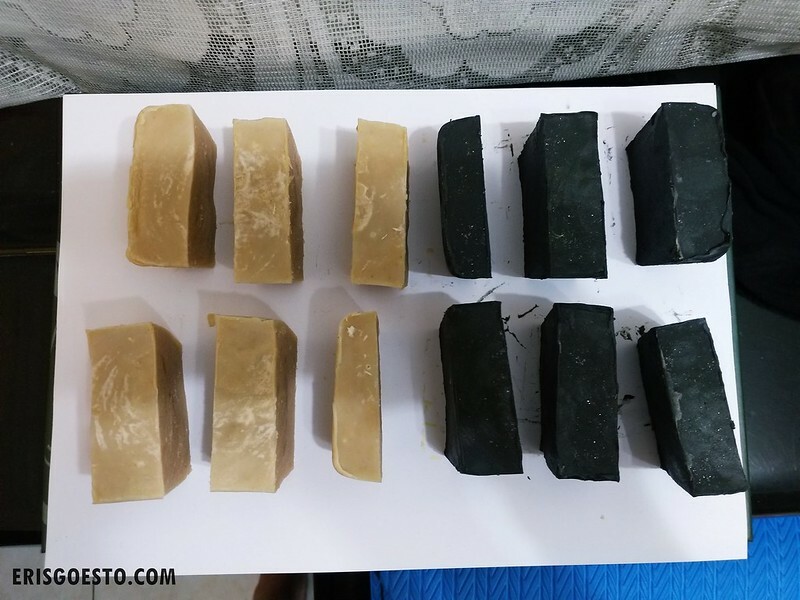 The second bar of soap was a 300g block of Goat’s Milk soap, which I blended with charcoal powder- hence the colour, lol. 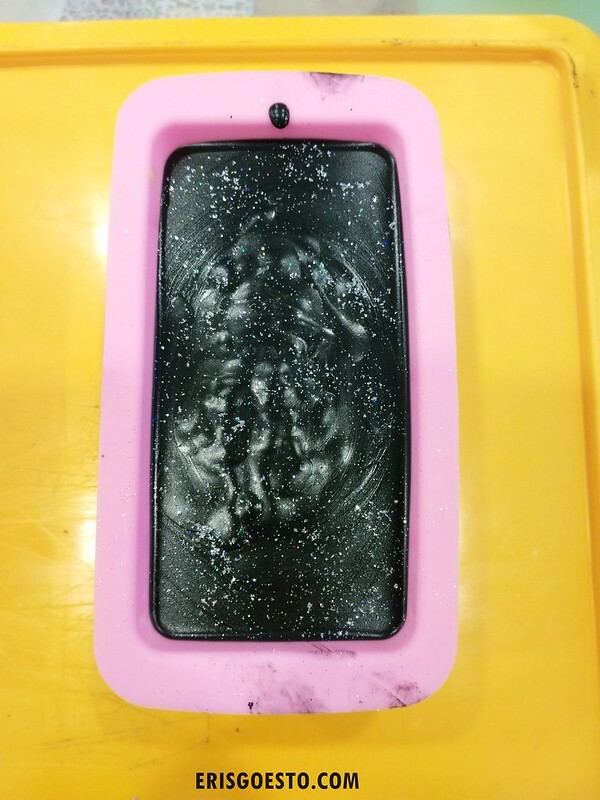 The teacher sprinkled a bit of glitter on it at the end, which added to the aesthetics. We had to mix the goat’s milk in a bucket of ice because the lye reaction would cause it to overheat, thereby destroying any nutrients or goodness in the milk. 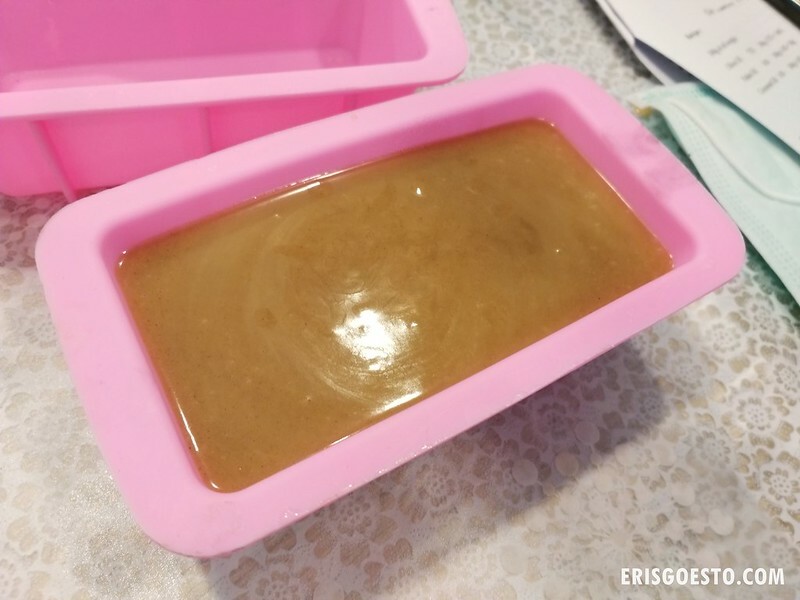 We had some time left over, so we also made a natural lip balm from the leftover oils, a small block of melt and pour soap and a mosquito spray solution. The soap has to be cured for 30-45 days, after which I can test it with a pH paper to make sure it’s safe to use. 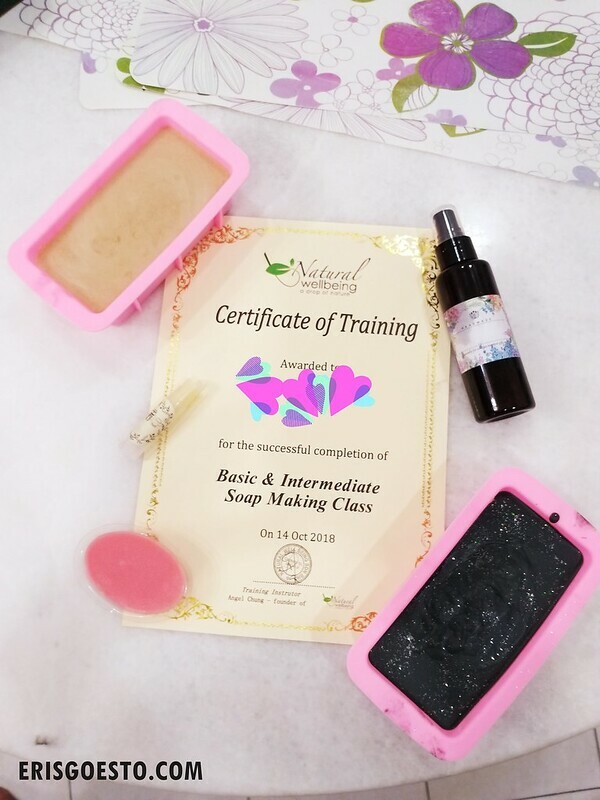 The soap making class at Natural Wellbeing, Publika is held as and when, so make sure to follow them on Facebook for announcements. The class I attended was RM310, inclusive of all materials. You get to take all the stuff home as well.